Runaway Train Blazes Through Western Australia For More Than 50 Miles The train had nobody on it. It was eventually deliberately derailed, creating a dramatic crash scene with huge lengths of crumpled, twisted metal on the desert sand next to the train track. 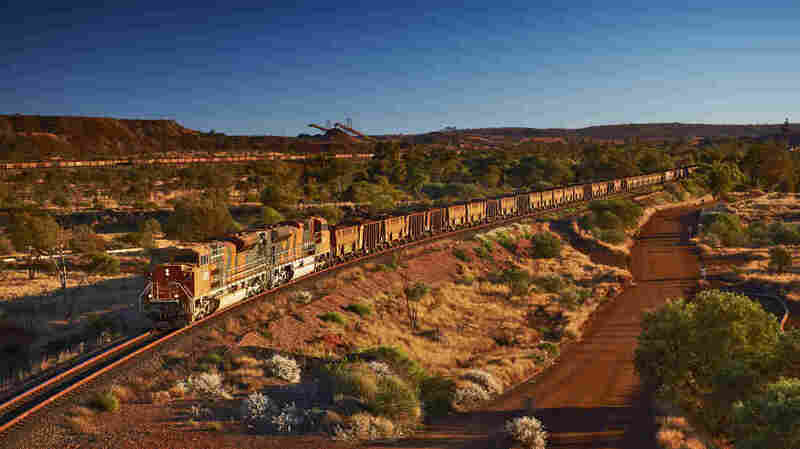 The BHP train that was derailed in Western Australia was loaded with iron ore, like this one in a photo provided by the company.